Air song is a plaster model of a sculpture designed for the Navy Pier in Chicago during the sculpture walk. This was a curated exhibition that requested models, that if selected for the final exhibition would be built for the Navy Pier sculpture walk. 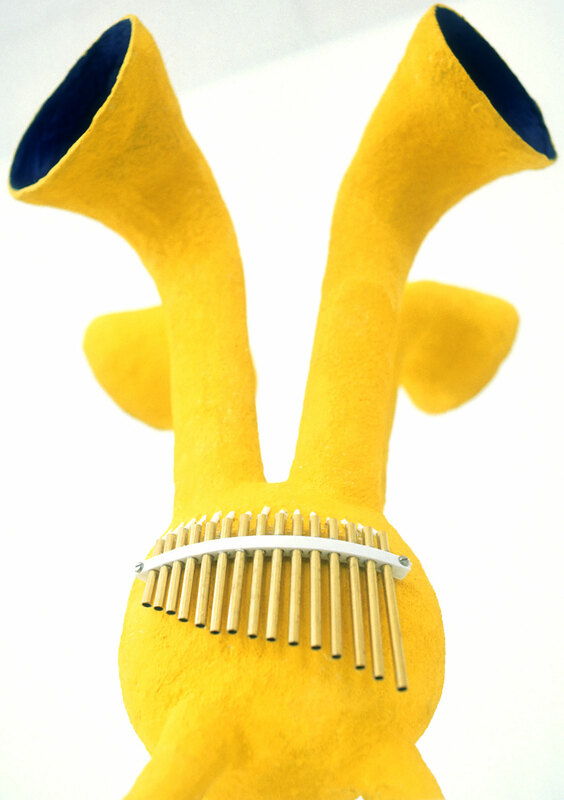 Air Song was designed as a viewer activated panpipe. 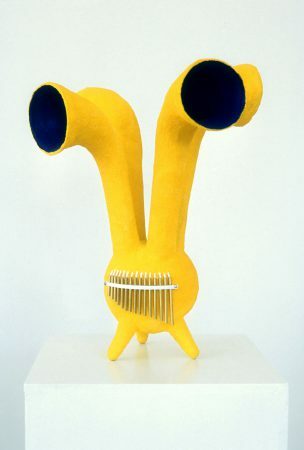 Wind was to come into the pipes and create a supply of air which was blown through the various length panpipes affixed to the side of the sculpture. The viewer would activate the pipes by putting their hands at the bottom of the pipe creating the necessary block for the panpipes to resonate. When observing the pier site I made three primary observations that gave rise to this design. 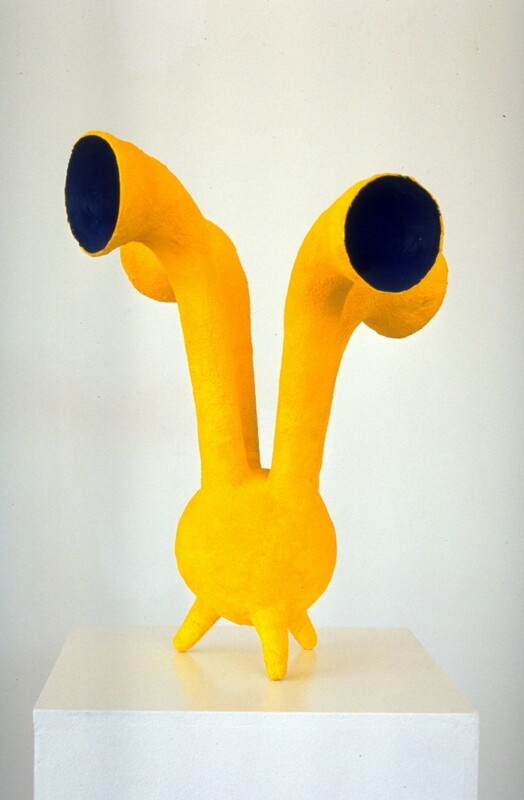 No matter which sculpture children would see, they would always want to interact with the work irregardless of the piece being designed for interaction or not. This seemed to make every work a kind of abstract monkey bar and the nautical theme of the large aeration pipes that sit atop of ship decks is a strong sculptural form which both brings air into the bow of ships and releases air. Pier Walk 98 Maquette Exhibition curated by Terry Karpowicz. Displayed a maquette for Airsong, a wind and viewer-activated panpipe sculpture.